The demand for LaCantina Doors is growing rapidly and we are interested in expanding our dealer base. 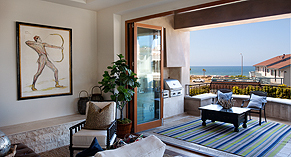 LaCantina Doors is looking for experienced window and door sales organizations to represent our product. If you are interested in becoming a LaCantina Doors Dealer or would like additional information, please fill out the following form. If yes, does your showroom feature a folding or multi-slide door? Would you be interested in our display program? If yes, is the service?